With the size of the online Star Wars community growing larger every day, we feel like collectors are missing important conversations. Where once they could stay up-to-date by reading a single forum or newsgroup, now they have to juggle a couple dozen different Facebook groups and several competing forums. With that in mind, we thought it might be nice to provide a way to bridge that fragmentation. Every couple of weeks, we'd like to provide a sort of directory for collectors, pointing out the important conversations or sales which happened all across the online SW world during that period. These recap posts will serve as condensed guides to what's going on in the community that week so that collectors can quickly see what conversations they need to take part in. In order to do this, we intend to get permission from the various mods and admins of those groups to select threads which struck us as especially interesting and worthy of being pointed out to the rest of the community. We will summarize them here and provide a link to the original thread so that everyone can participate in conversations they missed or read up on topics they'd like to know more about. This isn't to say that these are the only interesting threads in the groups during that period of time or that the groups/forums we're monitoring are the only places to have meaningful discussion, just that they're the threads we felt best fit our project and the groups which let us know that they would like to be a part of the articles. Please be aware that many of these are closed Facebook groups, which means you will need to join them in order to read the conversations. If you would like your community to be a part of this feature, please let us know. Todd G Iganti recently posted pictures of a new addition to his collection in the Star Wars Displays and Advertising Group. While it's not always news when a collector gets a new piece in his/her collection, in this case, it is. Todd got the store display for the Ride-On Speeder Bike Pedal Car and tells the story of how he acquired this grail item and the really interesting story behind the previous owner. As it turns out, the gentleman was 91 and an inventor! It's always nice when a collector is able to get the #1 item on their want list, but it's even better when it's this rare and there's a cool story behind it. A large collection of vintage Power of the Force coins were found in a bucket at a yard sale and were subsequently offered for individual sale on eBay. 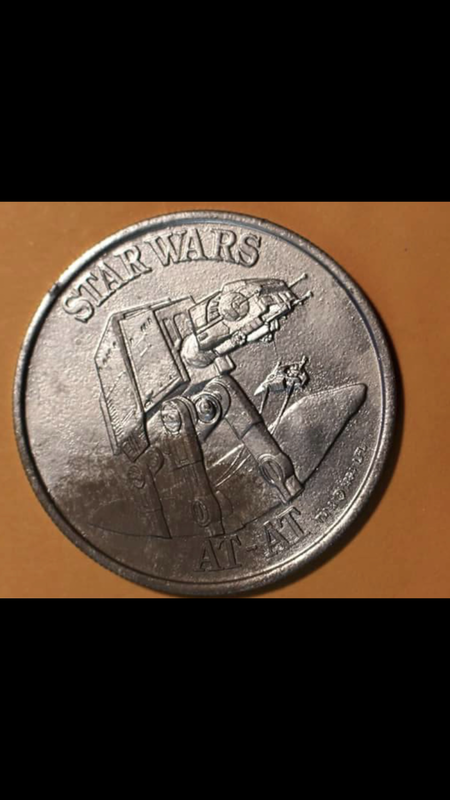 The find -- now termed the “bucket find” -- yielded multiple examples of some of the rarest coins from the set including examples of the Skiff coin and AT-AT coin. On arrival, some of the coins had an odd surface finish and this raised concerns about the newly discovered coins' authenticity. After discussion and review on the Power of the Force Coins Group, the coins were found to be authentic, but unfortunately the seller had painted some of the more corroded examples to make them appear in better condition. 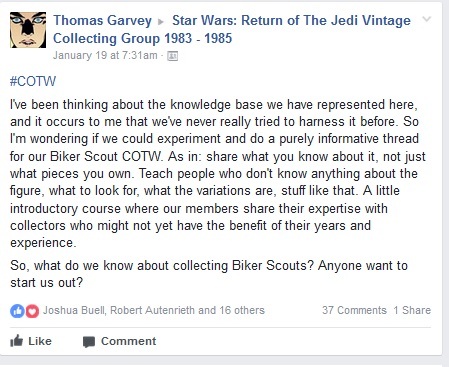 This thread in the Star Wars: Return of The Jedi Vintage Collecting Group 1983 - 1985 had a simple purpose: to share information, not pictures. The goal was to tie together the knowledge of the whole group to create one thread which would have all of the information about collecting Biker Scout items that anyone would want to know. The responses are genuinely interesting, particularly since it's cross-referenced with the Star Wars: The Dark Times Collecting Group and the Rebelscum forums. 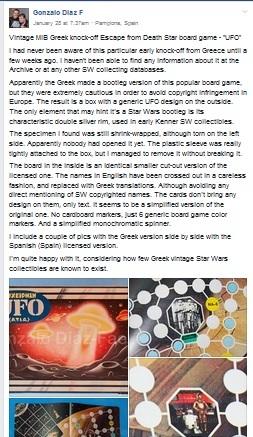 The cover of this Greek UFO vintage board game showcased on the Star Wars 12 Backs and Early Vintage Collectors Group (A New Hope 1977-79) Group gives a hint to its origin with the familiar silver double racetrack design used by Kenner toys for their Star Wars line. The remaining cover graphics like on many bootleg toys have been changed to an unidentifiable design likely to avoid legal action. Beneath the thinly veiled disguise is a bootleg version of Kenner’s “Escape from the Death Star" game, complete with images and characters taken directly from the film. Before the Brazilian toy company Glasslite was able to secure the legal rights for the production of Star Wars action figures in the late 1980s, a line of unlicensed Star Wars action figures was produced by a company named Model Trem. This line of unique bootleg figures were manufactured out of painted lead and resin and exhibit a folk art appearance. The limbs were attached to the torso of the figures in a variety of ways, mostly with varying kinds of rivets. This has lead to well recognized variations within the line. 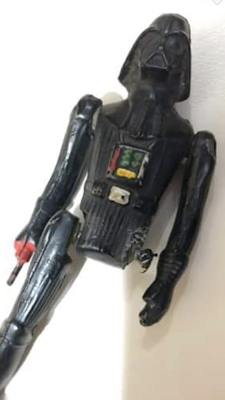 A recent find of an unusual Darth Vader Model Trem bootleg figure with an unarticulated head lead to a detailed discussion in the Star Wars Bootleg and Knockoff Collectors Group on the figure line and its variations. 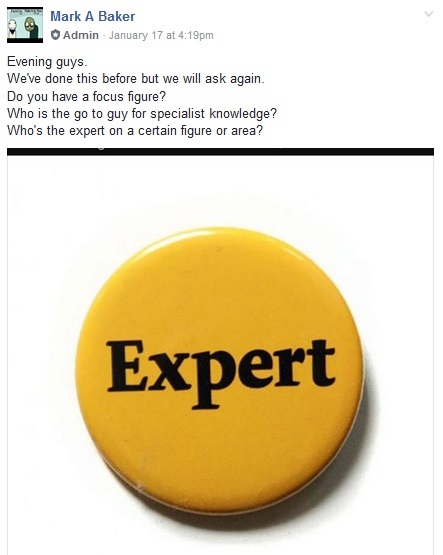 Who is the Expert on...? The Jabba's Court - Vintage Star Wars Collectors Group 1977 - 1988 group recently had a very interesting thread which asked a seemingly simple question: who is the expert on a given figure? The replies acknowledged a lot of awesome collectors, ranging from old-timers of the Usenet era to collectors who didn't really participate in the community until the rise of Facebook. While it could have easily turned into a popularity contest, it instead reads like a directory of knowledgeable people who would be willing to help answer someone's question on a given figure, mixed with some healthy discussion of "old school vs new school" collecting. It's always interesting when something new turns up, and that's just what happened on the Star Wars Records and Tapes Group. 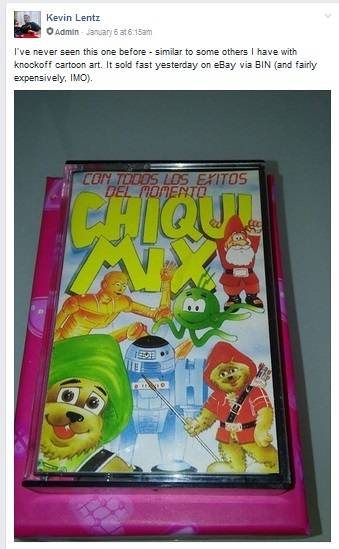 While other Droids and Ewoks cassettes have turned up with bootleg art over the years, this is apparently the first time this particular variation has been seen. While the price it brought on eBay was considered too high by the group ($91), there's no denying it's a neat piece. Please check out the SWCA for more information on Droids and Ewoks items. On February 21, 1983, user "mitccc!jfw" logged onto the net.sf-lovers newsgroup -- on what would one day become the Internet -- and posted his thoughts on a Lucasfilm presentation in Boston put on by the New England Science Fiction Association. 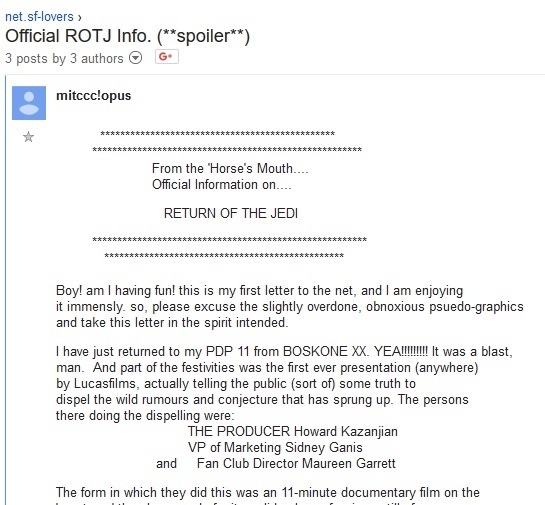 One of the key moments of the convention for him were the then completely unknown images and statements in the presentation about Return of the Jedi, which was still 3 months from release. His ideas about the movie and what it might contain make for interesting reading 35 years later. Toy Fair 2018: The Return of Hasbro!